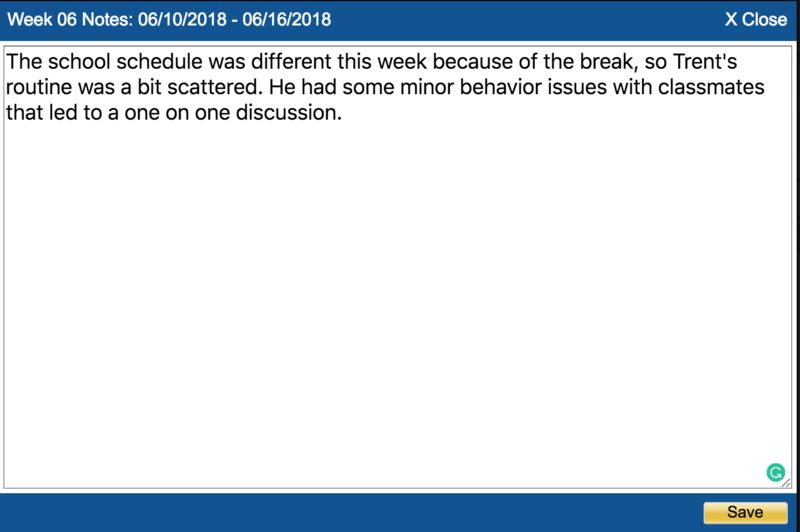 During the course of an intervention, it can be useful to record notes that can provide insight into what was going on that week with the student. 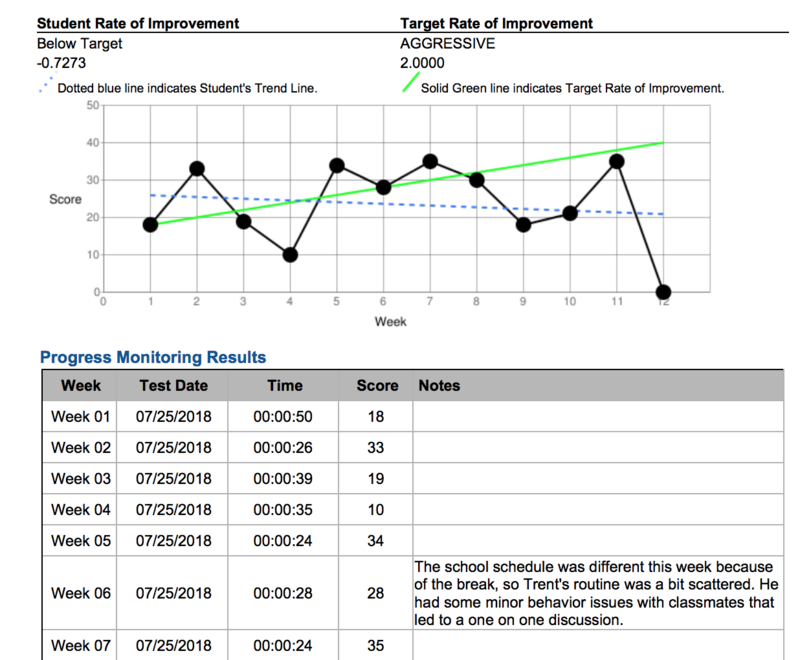 The note feature allows you to document anything that you might want to keep in mind when looking at a student's progress or how they're responding to their intervention. 3. Click on the status button for a student in the subject you'd like to create a note. Statuses can be TBD, Below Target, On Target, or Above Target. 4. Click the triangle out beside the CBM Assessment Level to expand it to see each week. Then you'll be able to add a Note or see existing Notes. 6. Once you have made your note, click the 'Save' button to record the note. You can follow steps 1-4 to view any existing notes for a student, but they are also included when viewing the Progress Monitoring Results Report.